Whether you consider yourself a Disney boffin or not, there’s no denying that the films really do have a knack of bringing families together. Whether you prefer the golden oldies, such as Snow White, Jungle Book, and Sleeping Beauty, the nineties classics including Aladdin, The Lion King, and Mulan, or you’re more contemporary Pixar peeps, there’s a heck of a lot of family memories bound up in those enchanting stories. And we’ve only mentioned a handful. Don’t get us started on the Disney princesses. After all, Disney Princesses are timeless characters whose traits and quirks resonate with us all, at every age. In fact, it isn’t uncommon to find yourself and your children identifying with one so strongly that she becomes your favourite princess. Carefree and determined, Ariel. Bookish, beauty with brains, Belle. Caring and calm, Cinderella. The list goes on. Which Disney princess are you? That is, apart from on the mornings when you’re more Cruella than any kind of frocked-up heroine. But we won’t talk about that. Of course, girls and boys alike know all of the Disney Princesses, from the very early Snow White and Aurora to the modern-day Anna and Moana. These shared interests, charming storylines, and sensational songs are what Disney is all about, and there’s nothing else in the world quite like it. Disney On Ice takes that sensation off the screen and put it on stage, in an arena. In doing so, that magic becomes truly limitless. If you’ve been to a Disney On Ice performance before you’ll know just how spectacular the shows are. Your ticket transports you and your family from your hometown to the heart of Disney World. There’s no rival show, it’s a one-of-a-kind experience that could only have been created, designed and choreographed by Disney. This year Disney On Ice presents Dream Big. This all-new, never-seen-before production for 2018/19, assembles a collection of inspiring stories connected by a cast of characters with a desire to explore the depths, heights and horizons of their dreams, with all the passion and vigour that they do in our favourite films. 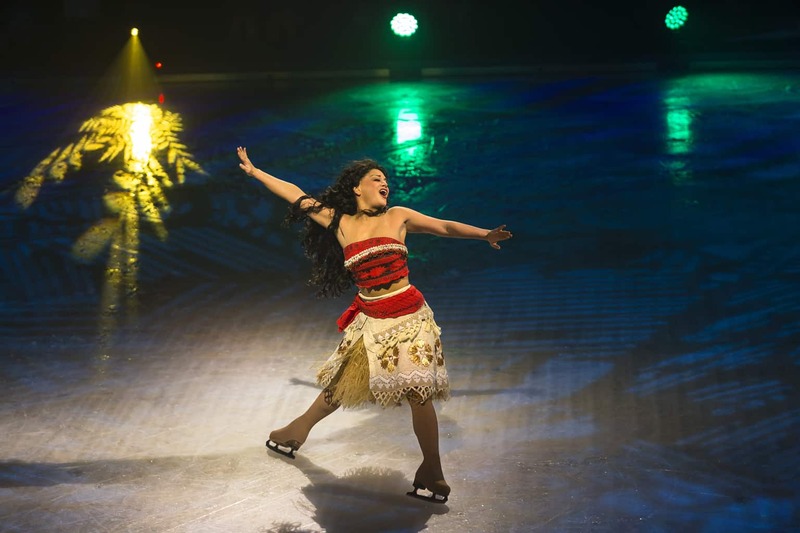 For the first time ever, Disney On Ice audiences can watch Moana and demigod Maui live, which will be super exciting for so many parents youngsters. The show also features an additional eight tales from family classics, including appearances from Frozen, Beauty and the Beast, Aladdin, Sleeping Beauty, Cinderella, The Little Mermaid and Tangled characters. It’s going to be incredible. An experience your family will never forget, that’s for sure. Disney On Ice | Book your tickets today! 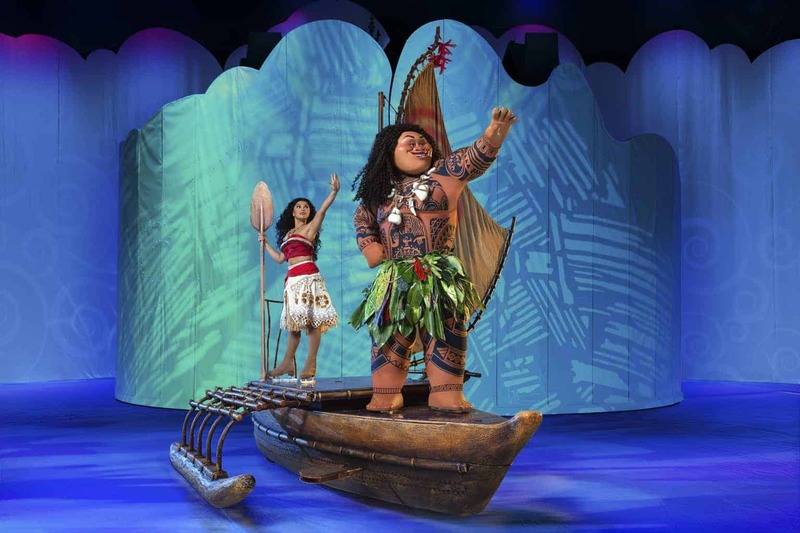 If you’re quick, you can still grab tickets for Moana’s debut season at the Motorpoint Arena from 21st to 25th November 2019, right now. If the Motorpoint dates don’t work for you Disney On Ice presents Dream Big will be skating into Glasgow, Newcastle, Manchester, Birmingham, Sheffield, Nottingham and London from the 21st September 2018 to 6th January 2019, with Moana in tow. In the words of Mickey Mouse, himself, Oh boy! Aww, this sounds amazing for the little ones. The show does look great from what you are saying.